I remember when we first got the internet at home. The world immediately felt bigger, and I loved looking everything up. Even schoolwork became a lot more fun. While the internet may be old hat now, there’s a new generation of tech making learning more fun, functional and interactive for kids. Voice-activated technology like the Amazon Echo Dots Kids Edition is bringing learning into the future, the same way the internet transformed it for me. We asked some parents about the educational benefits for their kids using the Echo Dot Kids Edition at home, and they answered with everything from musical education to confidence building. If you’re teaching your kids to play the piano at home, you can use the Amazon Echo Dot Kids Edition to make ear training more fun. Use the Bamboo Music skill on Echo Dot Kids Edition. The skill will walk them through a chosen song, and they just need to find and play the notes along with Alexa. It turns daily practice into a fun listening game. It’s important for kids to feel comfortable with technology, but you also don’t want them to be glued to a screen all day. That’s when the Echo Dot Kids Edition comes in handy. It allows children to engage with kid-friendly content while sparking creativity and imagination without staring at a screen. The best part is parents can create daily goals, set time limits and control content on the parent dashboard. 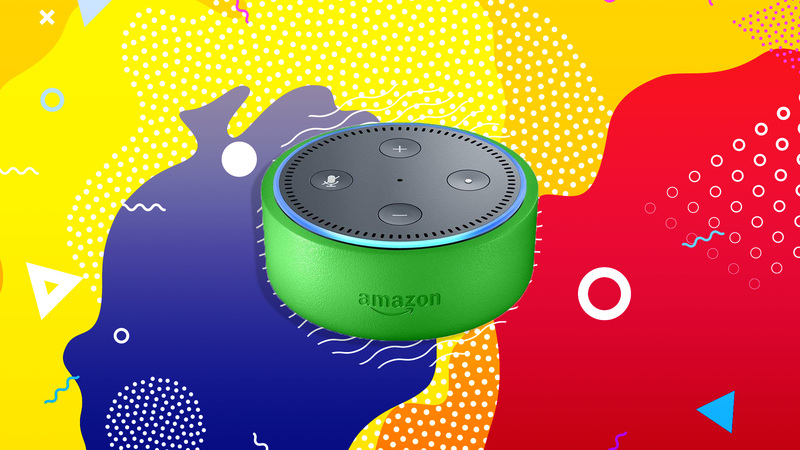 On the Echo Dot Kids Edition, Alexa can answer kid-friendly requests like spelling and fact-checks, which can help kids get into the habit of looking things up for themselves. Echo Dot Kids Edition, along with a little help from parents, could be the educational tool that your child needs. Learning practical skills has never been more interactive … or fun!